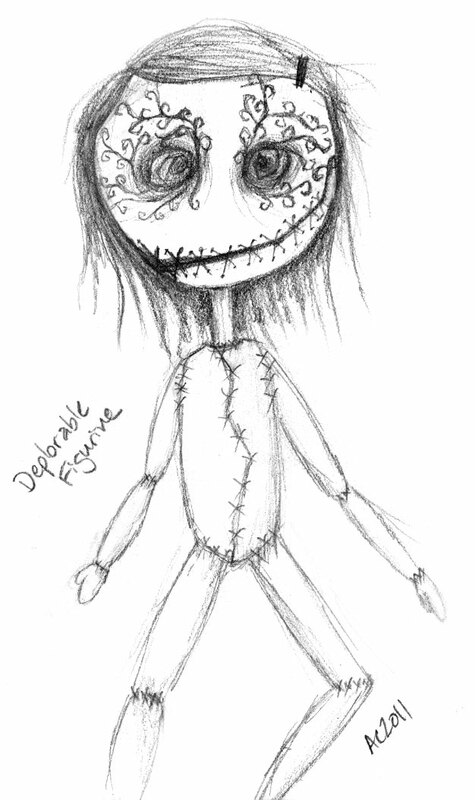 This morbid little doll started as a midnight sketch, just a few loose lines and the name scrawled on the page. It took me a few weeks to get back and fill in her tiny hands, stitched-together body, and the extra-creepy details on her face. Though I never went quite this far, I totally used to draw elaborate eyeliner designs on myself when I was an earnest young Goth. 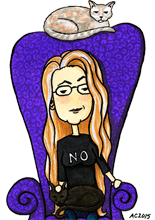 Ah, the olden days, when I gave a crap enough to wear makeup. Deplorable Figurine, 5.5″x8.5″ pencil on sketch paper, not for sale.